In a parking lot off the side of a dirt road deep in the Copper Canyons, Miguel Lara, using a flat wooden stick presses a baseball-size piece of wood onto the top of his foot. He’s showing us how the Tarahumara people advance a ball during their traditional running game, called the rarajipari. In stride, he then launches it up in the air 20 feet ahead of him. The ball is made from madrone, a shiny majestic red tree found in the canyons. He carved it with his own hands. The Tarahumara burst onto the American running scene in 1993, when their runners finished first, second, and fifth at the hallowed Leadville 100-Mile Endurance Run in Colorado. 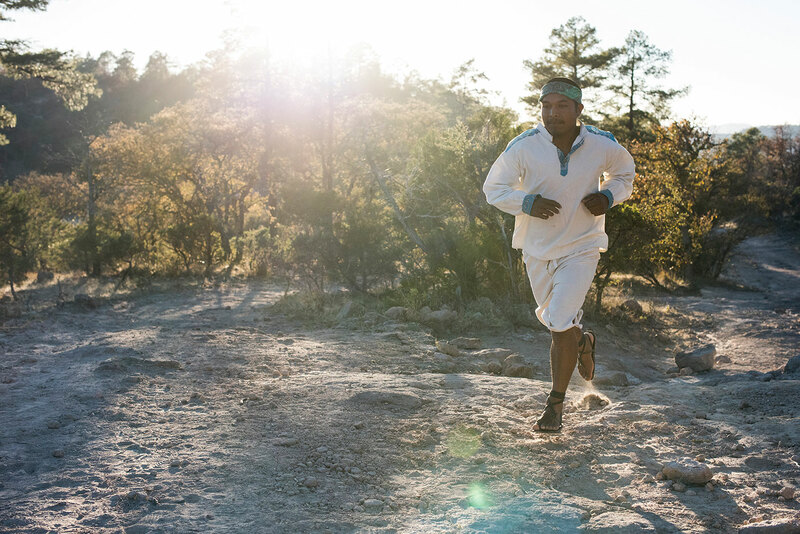 The following year Tarahumara runner, Juan Herrera, returned and took 25 minutes off the course record. But nothing has brought more attention to the running exploits of the Tarahumara than the 2009 publication of Christopher McDougall’s New York Times bestseller, Born to Run: A Hidden Tribe, Superathletes, and the Greatest Race the World Has Never Seen, which has sold more than three million copies. 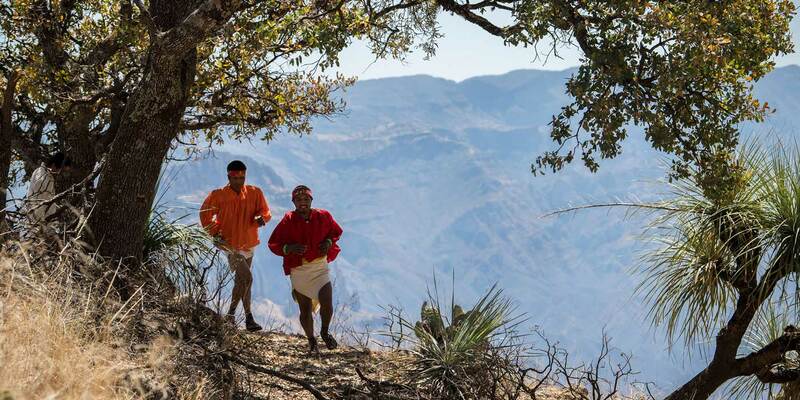 Running has been a central part of the Tarahumara culture for centuries. 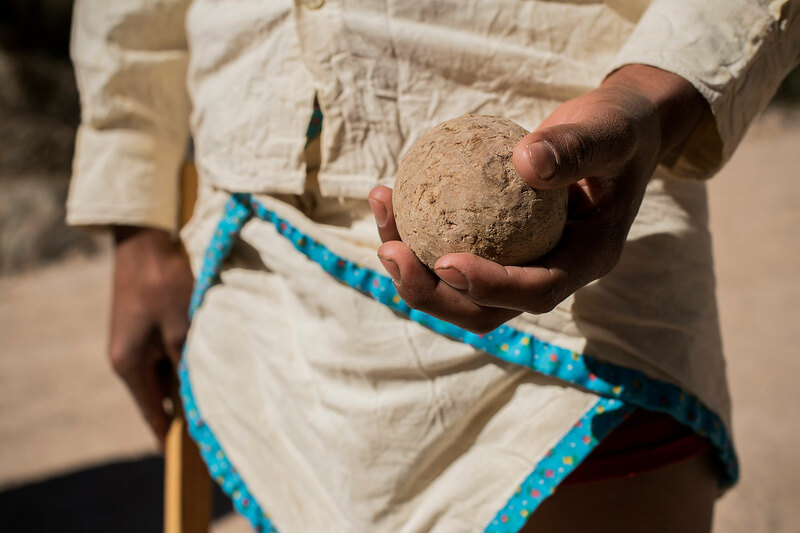 Their traditional, non-Spanish name for themselves is Rarámuri, or “running people.” Historically, much of their athletes’ training comes in the form the rarajipari ultrarunning ball-game. 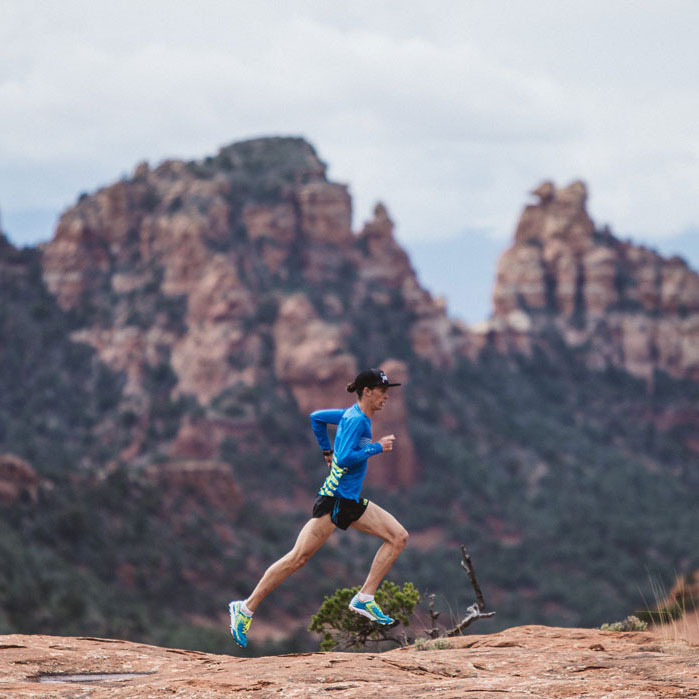 Generally, two local villages pit their best runners against each other on a course that connects towns, mountain-tops, rivers, or other features that act as natural turnaround points. Everyone in town comes out to watch, drink corn-beer, and cheer, while many bet livestock and other goods on the outcome. The men wear traditional Rarámuri garments and race staggeringly long distances, anywhere from 70 to 150 miles, in huaraches or bare feet, all while steadily keeping the ball from being lost down the steep canyon terrain. For this, they employ family members, friends, and younger boys from their village as spotters, who often run the entire distance with them. Women play a version of the game with a hoop the size of a bike-wheel that they push along with a stick, colorful skirts billowing down to their calves. Children grow up watching and assisting in the adult rarajipari, but they also play a modified version of the game at school. 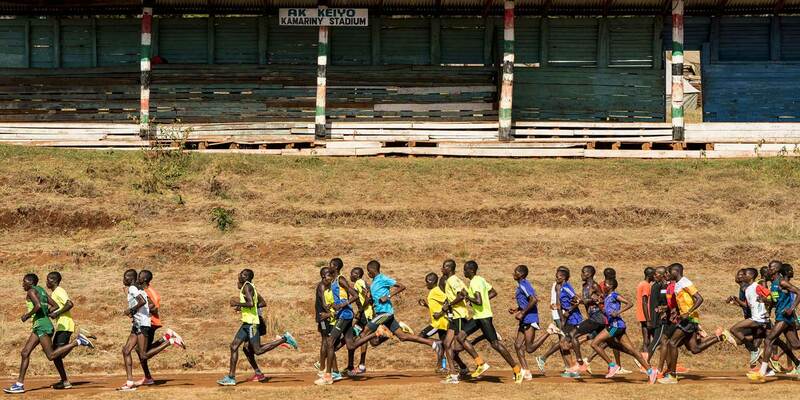 Lara, who has now won three rarajipari competitions, grew up participating in these grade school running games. 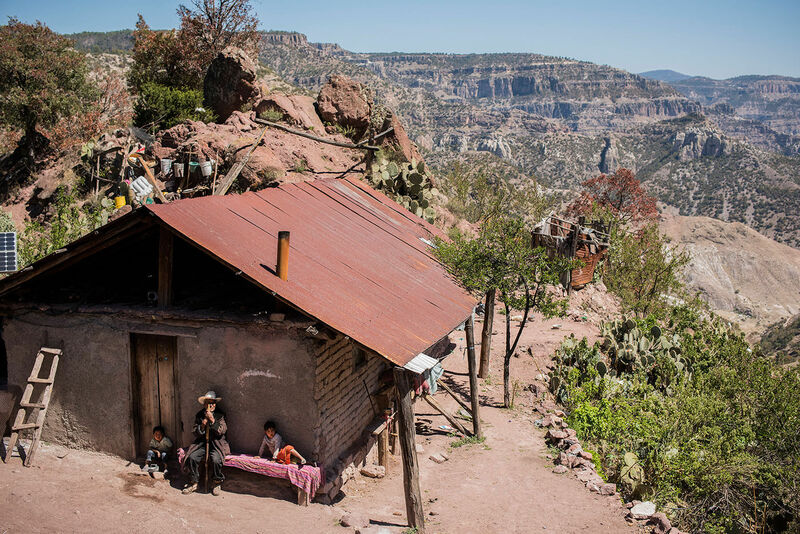 Difficult times are nothing new for the Tarahumara, who escaped Spanish Conquistadors in the 1500s by disappearing into the maze of canyons west of Chihuahua. More recently, however, they have come from drought and drug cartel activity, which has not only slowed tourism, but also the stream of Tarahumara athletes going abroad to race competitively. 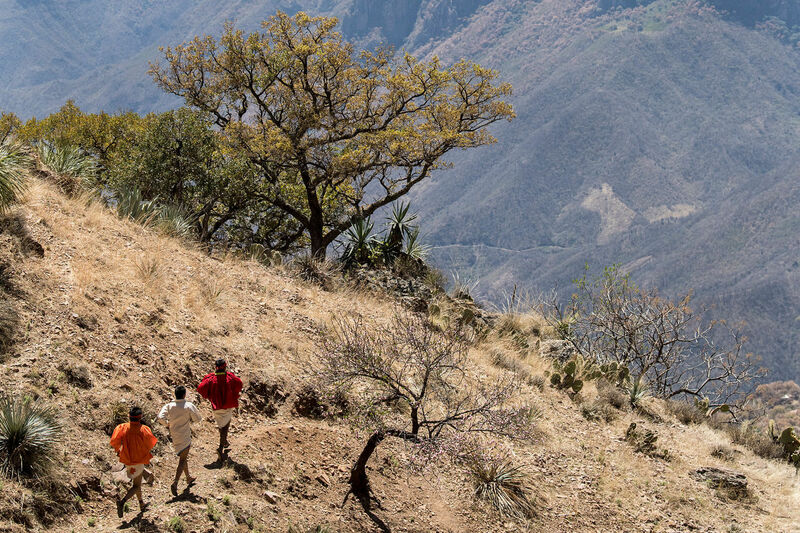 Lozano, who’s personally financed top Tarahumara runners’ race excursions, sees an even greater threat to the traditional way of living and running for the Tarahumara — modernity. “They don’t do the rarajipari as often as in the past,” he says. “Where they used to do it six to twelve times a year, now only, maybe, twice a year.” He also points out the new road construction that is slowly encroaching on the running people of the canyons, and he worries it will make them driving people of the canyons, adding to the slow loss of cultural traditions. For his part, Lara shows no sign of slowing down. One night he ran home from a seemingly random place in the canyons, leaving us scratching our heads on the side of the road. He simply slipped into the bushes and disappeared, only to reappear the next day for breakfast, laughing, smiling, and ready for a run.